It Thrives Here, So Can You! To many, if not all of us, it feels like airplanes have been around forever. For young people especially, aviation and air travel has all but lost its novelty as a world-changing technology. It’s difficult to imagine a time when people would have to sail across the ocean for months to visit other countries in an era when all it takes is a flight or two, depending on where you’re going. 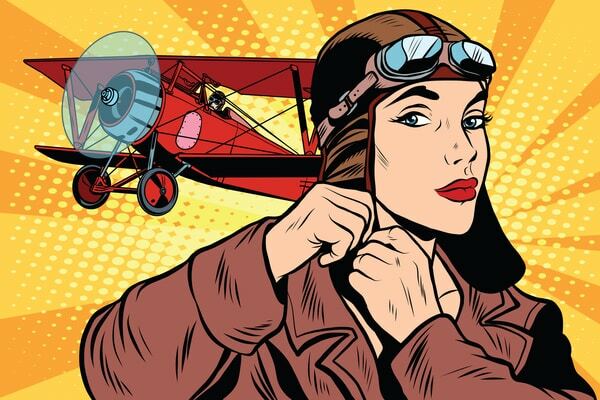 During the early days of air travel, men regularly made headlines for aviation achievements, but if it weren’t for these pioneering women, the aviation industry might look very different today. Within the first few decades of the 20th century, dozens of women took a leap of faith and invested themselves in the fledgling aviation industry. 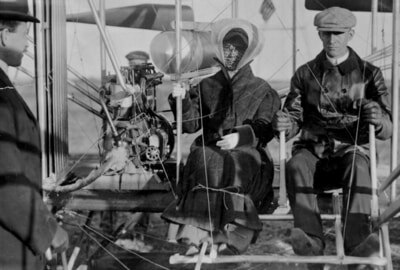 Katharine Wright preparing to fly with brother Wilbur. He would tie her skirt and they say that’s how the Hobble Skirt had is origins. In 1909, Katharine flew with her brothers during their demonstration flights in France. Some believe this may have inspired the Baroness Raymonde de Laroche, who became the first woman in the world to earn her pilot’s license in 1910. Bessica Raiche was present at some of the early flying exhibitions by the Baroness and, upon her return to America, began building aircraft in her living room with her French husband. In 1910, she became the first American woman to solo in one of her and her husband’s homemade aircraft. Within a year of Raiche’s flight, Harriett Quimby became the first American woman to earn her pilot’s license. Shortly before World War I, Katherine Stinson became the first woman to own a flying school, and in 1917, became the first woman to fly in Japan or China. Perhaps one of the biggest names in aviation history – female or otherwise – is Bessie Coleman. 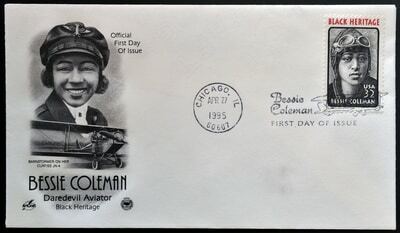 In 1921, Coleman became the first African American to earn a pilot’s license. Following her untimely death in 1926, her legacy was the catalyst for the first flying schools for African Americans and inspired generations of pilots. Amelia Earhart became the first woman to fly across the Atlantic as a passenger in 1928. Four years later, she became the first woman to fly solo across the Atlantic, and in 1935, became the first person to fly solo across the Pacific from Honolulu to Oakland, California. Earhart was an inspiration to a generation of future female aviators and was elected president of the Ninety-Nines, a women’s aviation club she helped form. Her mysterious disappearance in 1937 has been the subject of conspiracy theories to this day. 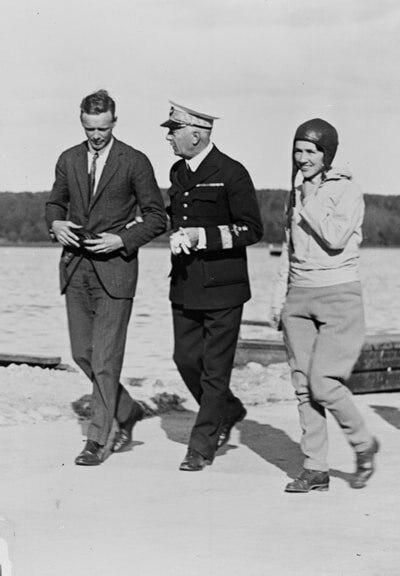 Anne Morrow Lindbergh was responsible for several technological advancements in the aviation field during a 5-month, 30,000-mile survey with her husband, Charles. She established a world record for radio communication distance between aircraft and ground stations and wrote eloquent travelogues of her pioneering adventures in the air. She was the first woman awarded the National Geographic Society’s highest award, the Hubbard Gold Medal, for her achievements as a copilot and navigator on the trek with her husband. No other woman was more influential in this era than Jacqueline Cochran. Before the U.S. became involved in WWII, she proposed a program that would allow women pilots to staff non-combat duties. She soon after became the director of the Women Airforce Service Pilots (WASP). Cochran set more speed, altitude and distance records than any other pilot before her death in 1980. She was also awarded the Distinguished Service Medal and the Distinguished Flying Cross. 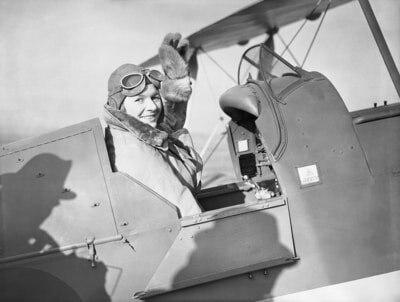 Pauline Gower, Commandant of the Air Transport Auxiliary Women’s Section, in the cockpit of a de Havilland Tiger Moth 10 January 1940.
time, Pauline Gower formed the Women’s Section of the Air Transport Auxiliary (ATA), which ferried aircraft from the factory to training bases. She was the first woman allowed into and to fly a Royal Airforce Plane. The WASPs were formed in 1942. While technically civilians, they were involved in all aspects of military flying operations, except for combat overseas ferrying. More than 1,000 women flew over 70 million miles and delivered more than 12,500 airplanes across the country. Founding member of the International Flight Safety Foundation Gloria Heath is internationally recognized for her initiatives to use cockpit recorders for accident investigation, safety improvements and for her efforts to establish a global satellite-aided system of disaster response. These women, and many more, helped shape the aviation industry into the exciting, safety-conscious and innovative field that it is today. Are you ready to become the next trailblazer? If you’re interested in making your dream job a reality, check out all that the Aviation Triad has to offer you. Check out more of the women in aviation history here. Visit us online to access the resources that can help you begin your career in aviation today. Pauline Gower By Daventry B J H (Mr), Royal Air Force official photographer. This is photograph of the C-380 is from the collection of the Imperial War Museums.